All my personalised wall stickers are precision cut and self-adhesive. 3. 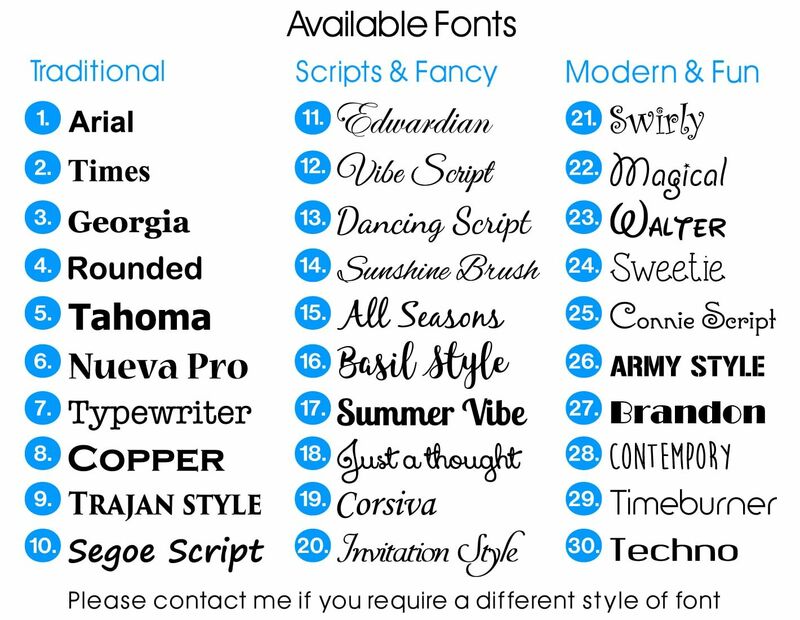 Enter your font number. 4. 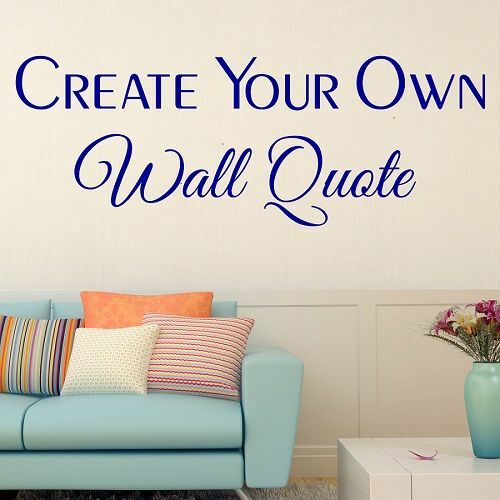 Type in your quote. 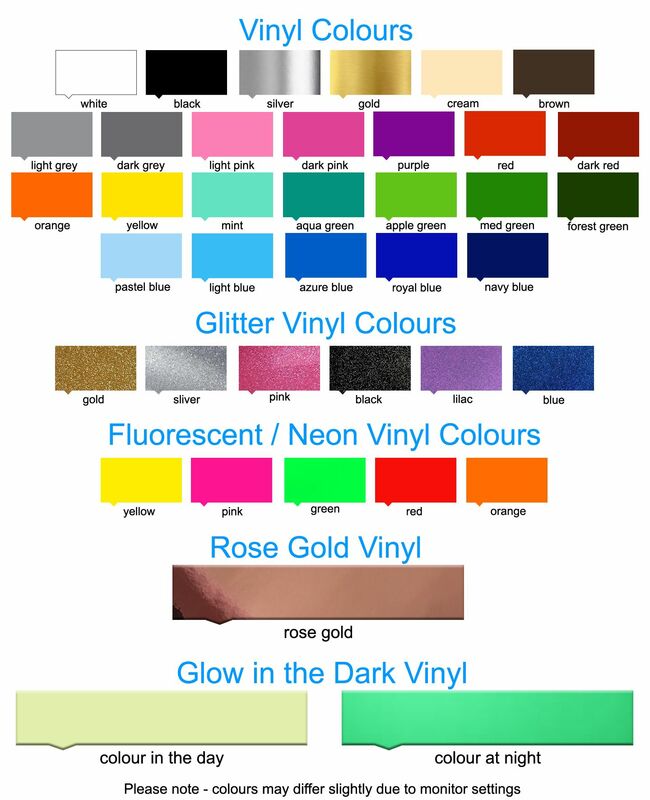 My personalised wall stickers can be applied to walls, glass, windows, tiles and many more surfaces. They are also suitable for both indoors and outdoors. 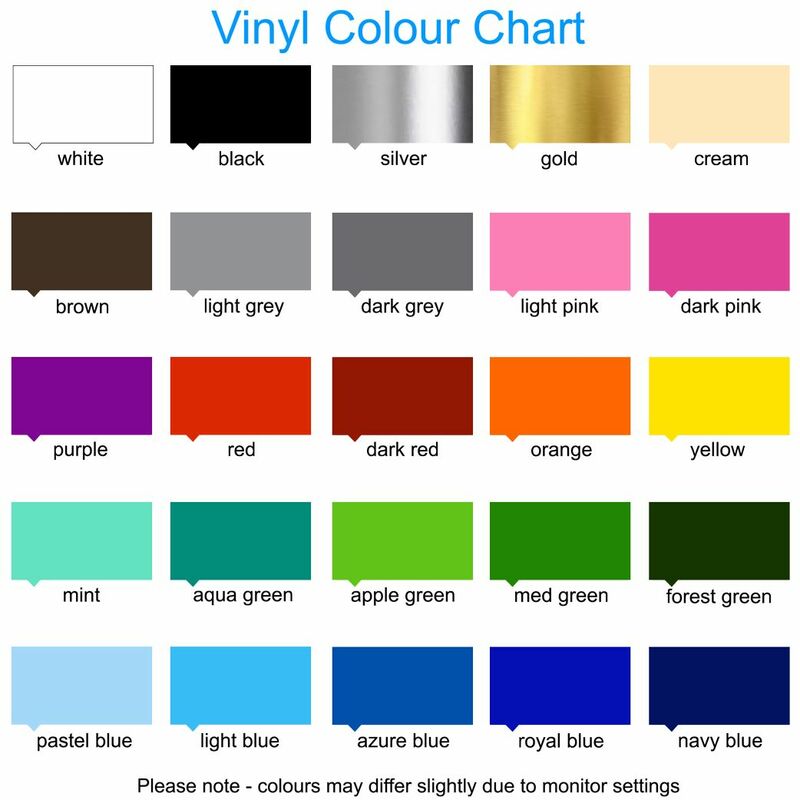 If you want to customise your personalised wall art sticker a little more, please message me with your requirements. Please allow 1-3 working days for me to reply via email with a draft image of your request. I will redesign any request until you are fully happy. Once a design is approved I can have it dispatched within 48 hours. I wanted a bible verse for my mums new flat and couldnt see what I wanted anywhere,then I came across Gemma’s website. I contacted her to see if she could give me ideas for fonts and highlights and stuff and Gemma was great. It only took her 2 drafts to get exactly what I’d had in mind. The service was so fast I couldn’t believe it. I put it up yesterday and it did take 2 of us but it looks lovely. My mum is chuffed to pieces. I would definitely recommend Gemma to anyone looking for something different and beautiful quality. Well done Gemma and the team. Excellent service from initially placing the order, through to the design and delivery. Gemma and Anna were great excellent communication throughout and our order arrived really quickly. Our wall quote was a present for my Dads birthday and he loves it, would highly recommend to family and friends or infact anyone wanting a wall quote... Will definately order from here again. Thanks Again Gemma and Anna . Great product - looks fantastic when up, very good sharp quality and great service too, bespokely made for ourselves ;) Thank you Gemma! My Wall Decals arrived this morning & I stopped EVERYTHING in order to get them put up!!!! Took a little jiggery pokery due to some of the finer lines (my own design so no detriment to Gemma's work!) but was worth every penny & every ounce of patience as I think it looks absolutely AMAZING!!! It looks great as you walk into the house & will certainly be a talking point. So THANKS A MILLION for all your help in turning my bespoke design into reality & for such professional & speedy work - I am chuffed to bits! And will certainly be recommending you to all my friends. You truly are a SUPERSTAR!! 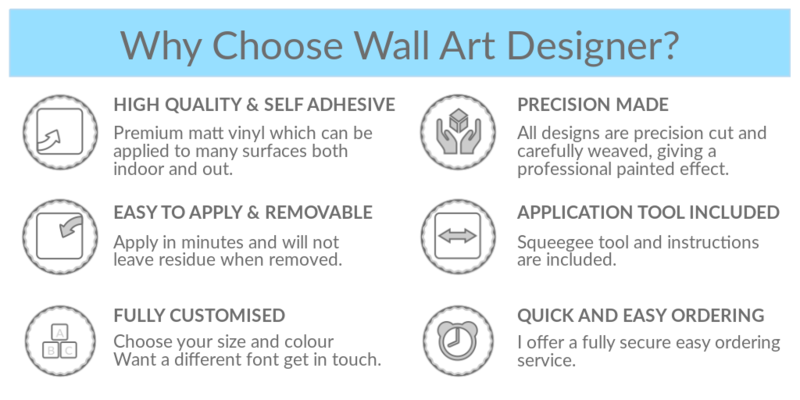 Hi Gemma, Thanks for the lovely wall art, just what i wanted and so quickly designed and dispatched, I was amazed at how easy they are to put on the walls. Keep up the good work, nice doing business with you, I will be telling all my friends about your website.